My husband is very fond of ice creams, where ever he would see an ice cream shop he would buy. I am not a big fan but love to just get a taste from every new flavours he tries. I love those with loads of brownie and chocolate mix!!! 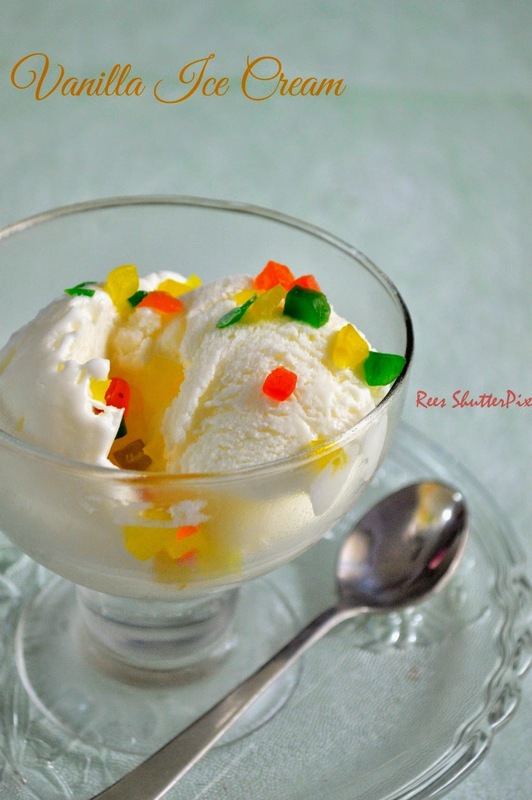 Here is a simple vanilla ice cream with tutti frutti!!! 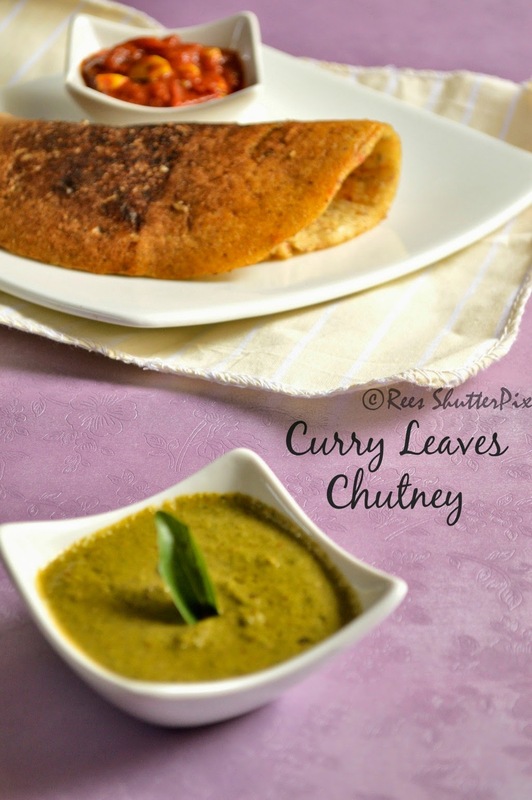 Easy and tasty chutney for a busy morning goes well with idli, dosa and chapathi's. Badam Pisin/ Edible Gum is a hard stone like substance which is light white and brown in colour which when soaked in water for overnight becomes a jelly like substance or crushed ice. 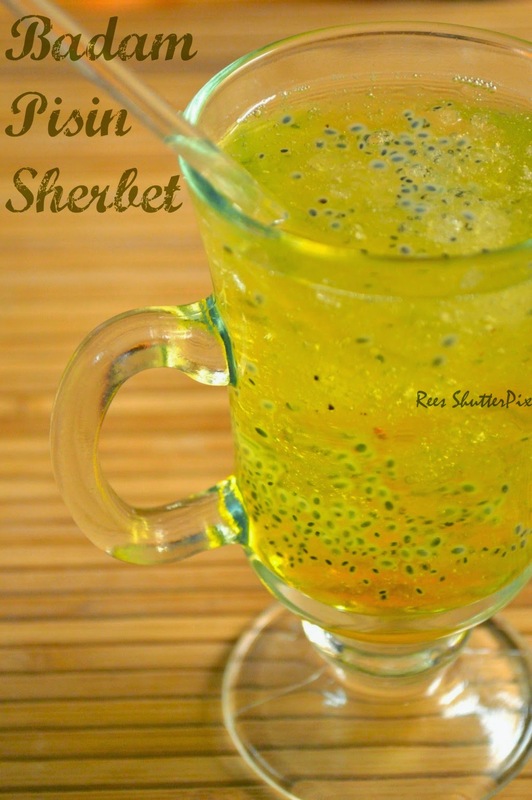 It is a perfect coolant to the body in the summer and a yummy treat for kids. 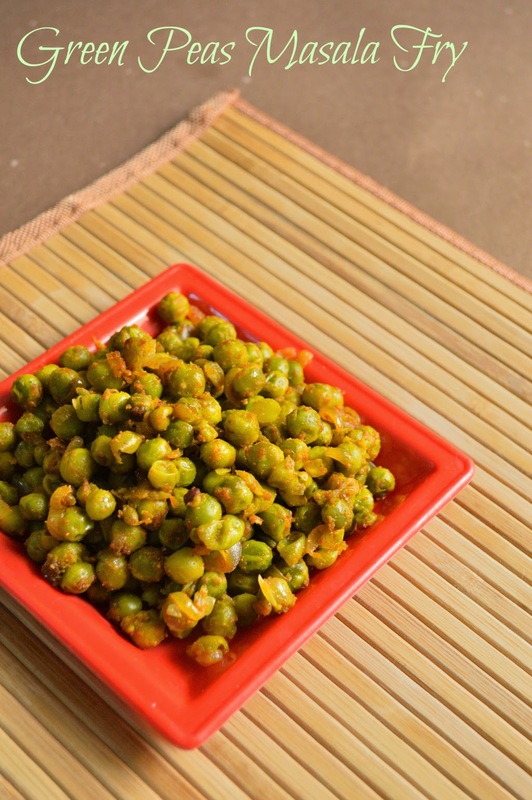 Badam Pisin is definitely not a drink for weight watchers, as regular consumption of badam pisin puts in weight, so it can be given to kids who are thin to increase their weight. It is also the best home remedy for people with piles. Fresh corn adds so much to the taste and flavours with the other variations of your improvisation. You can top it up with your favourite veggies, cheese and sauce!! 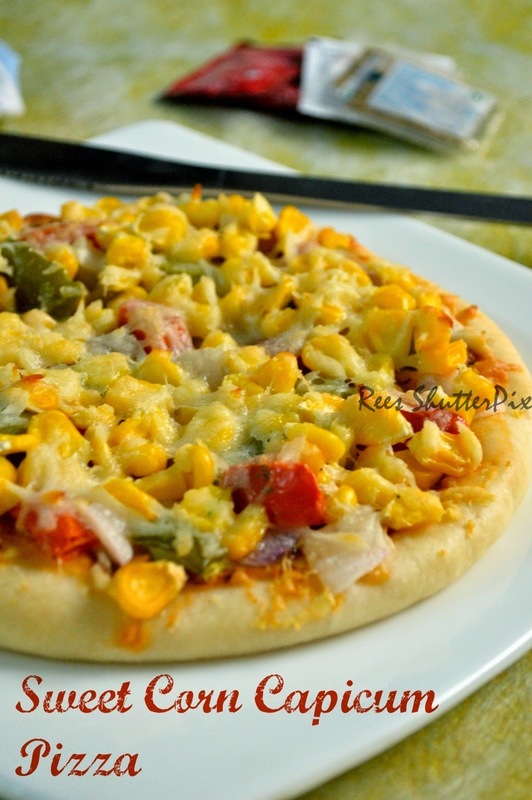 !Here is a simple sweet corn capsicum pizza recipe!!! 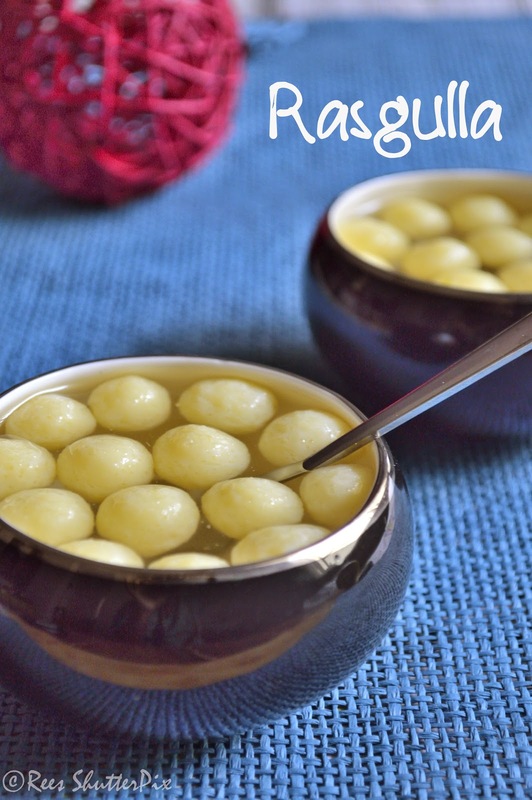 Rasgulla's are small cheese balls immersed in sugar syrup. It is a native dish of Bengal. Rasgulla is a traditional offering of puri temple. This spongy sweet is famous throughout India. Variations in rasgulla's is also tasty! Yummy carrot and beetroot combo juice is so energizing and refreshing!!! 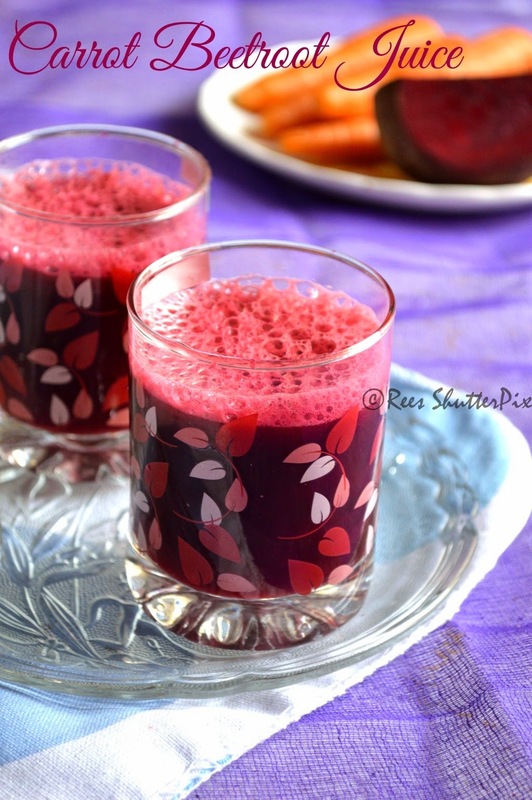 Beetroots are very rich in anti oxidants, so good to have as fresh juice. Children face serious health issues than adults as young people are more prone to environmental hazards. For example, young ones are very vulnerable to the infectious feces of other people lying around in the open defecation due to which they are also infected with diseases. Inadequate sanitation cause a wide range of diseases which are very life threatening. The most deadly are diarrheal diseases which is caused due to poor sanitation conditions and inadequate hygiene. At present, the rural areas are the most affected by poor sanitation. Mainly due to the lack of proper toilets. Chettinad Pepper Chicken is a very spicy, flavorful dish. I usually prepare my mother's version of pepper chicken which is less spicy and aromatic yet tastes best. Got this recipe through an tv programme and jotted down very long back. 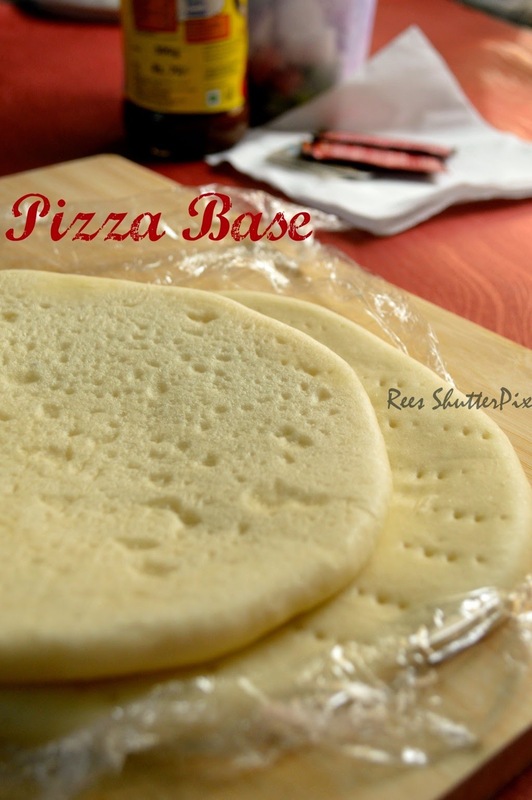 One day, wanted to try something different for guests and tried this, from then on got addicted to the taste of it. Try yourself and treat yourself very yummly!!! Hey I am with an easy, tasty and the most favorite chicken dish for the day!!! Each time I order food from my favorite restaurant I ask only for this chilli chicken masala and they would tell its over even by 8. So I be so stubborn to be there for dinner by 7 which my brother totally hates it. He cant have dinner so early being a night person!! Having tried many chicken recipes from many famous food places , I still love this chilli chicken masala very much! Had been a hectic day without power supply, no cooking , no eating, just going mad to find the fault in our electrical connection. The rains and cable works damaged our entire electric connection. Finally managed to get an temporary connection. Missed blogging and could not wait to share this amazing dish. 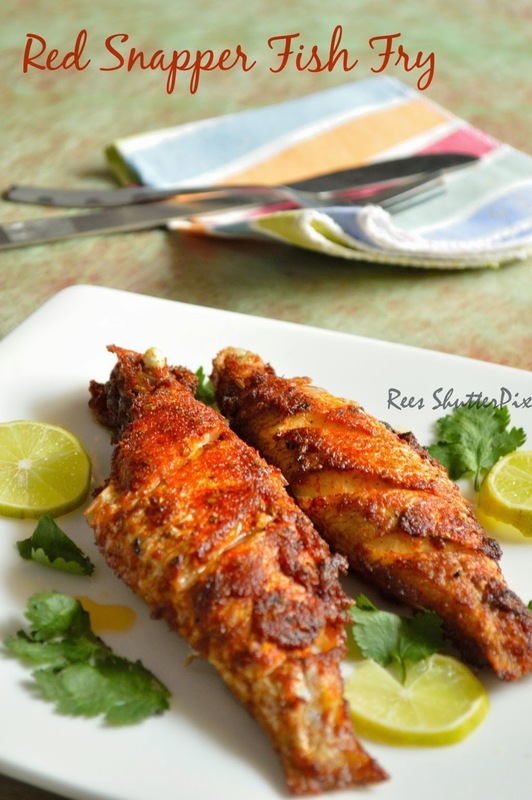 Here is my first fish post on the blog for fish lovers...it is an delicious fish fry!!! Everyone likes ladies finger. The one vegetable I happily ate in my childhood days. 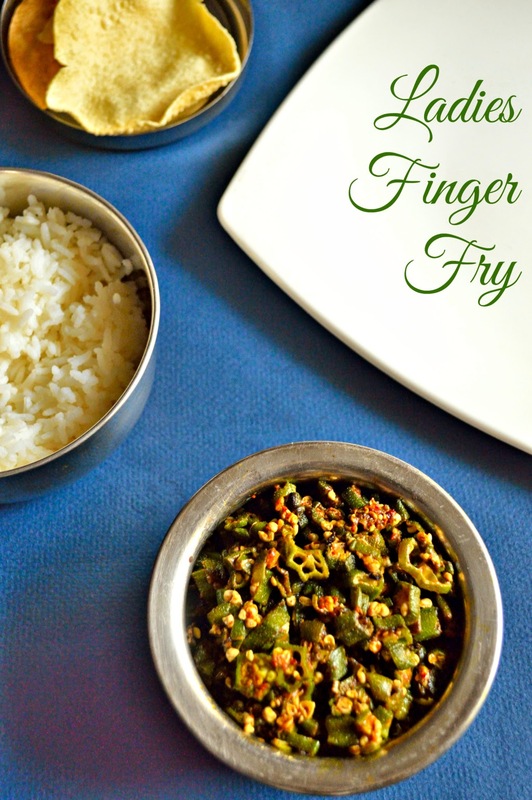 A simple lunch box side dish recipe : Ladies Finger Fry! We allow know millets is helathy, but switching from our lifestyle is difficult. 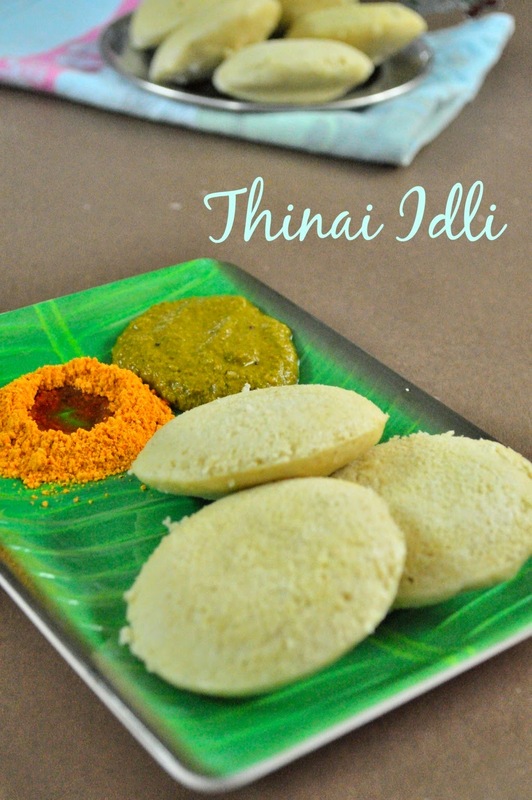 Here is another simple way to replace millets to our diet, just replace the rice used for making idli's to millets for a soft and healthy idli. Goodness of millets in a easy way!!! Been a busy day writing down a diet plan for me!!! My doctor has asked me to lose 10 kgs:P. Being a food blogger, it is really not easy to follow my diet. 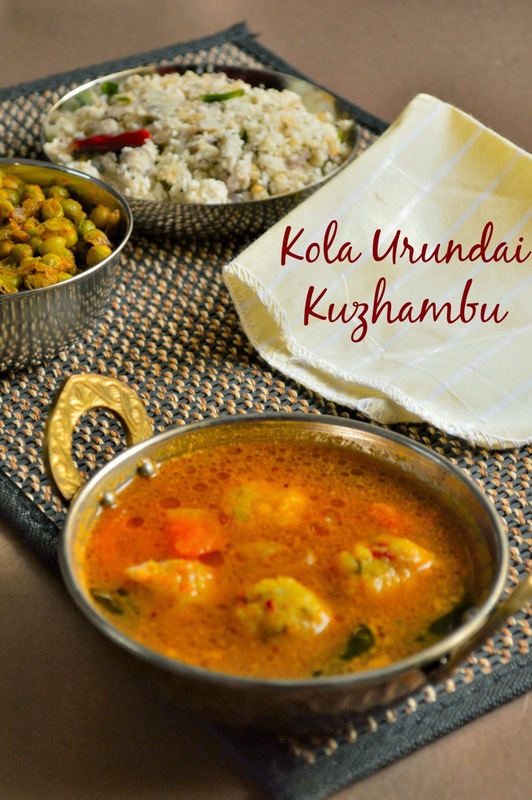 Let me see how this thing works out...phew...Coming to today's recipe, its an simple and delicious urundai kuzhambu for vegeterians...!!! This comes in very handy when you don't have veggies at home. A healthy child makes a happy home....so true...!! He made our home a very happy home. He is cute, playful and very naughty. He brought in bundles of joy and happiness to our family. After his arrival to our home, I changed my focus from outside to inside. I truly felt the changes within me to a better person. He keeps reminding me of how to live life!! !This is to you AMRITH...:) My little naughty Nephew!!! 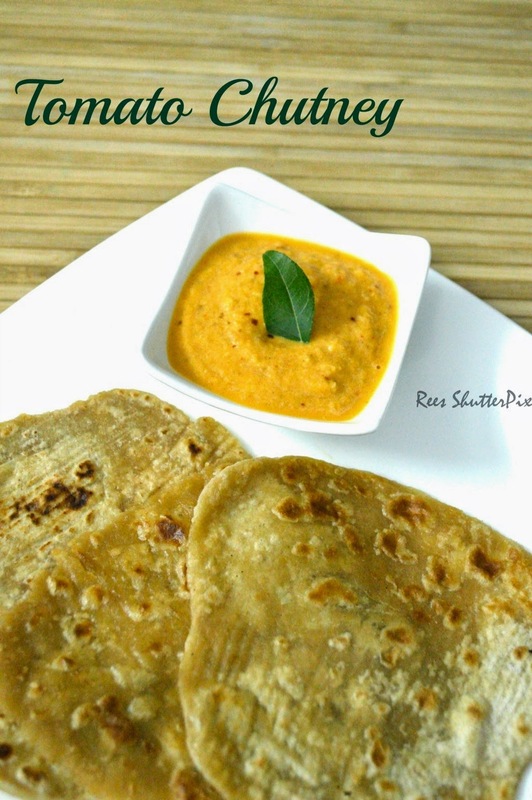 Vazhakkai Podimas is a very tasty and healthy recipe. My DH does have only vazhakkai bajji, as its fried. So I make this recipe which he likes to have even without knowing its vazhakkai...:P Sometimes, healthy way of eating is forced in such ways!!! 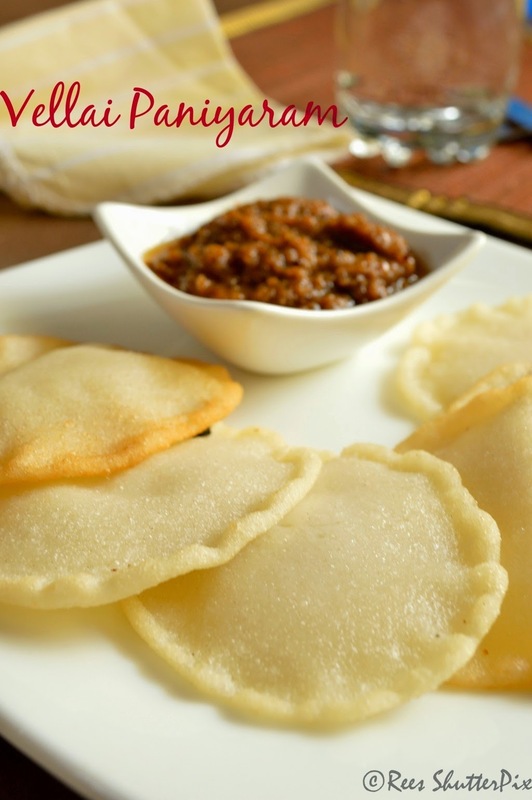 I am sure anyone will love this yummy poriyal. Do try and share your feedback. A tasty and healthy chutney made from curry leaves which has numerous benefits for women when consumed in any form. Best way to consume is raw but I prefer these chutneys and powder's which are yummy than raw!!! Finding ways to include millets into your diet?? 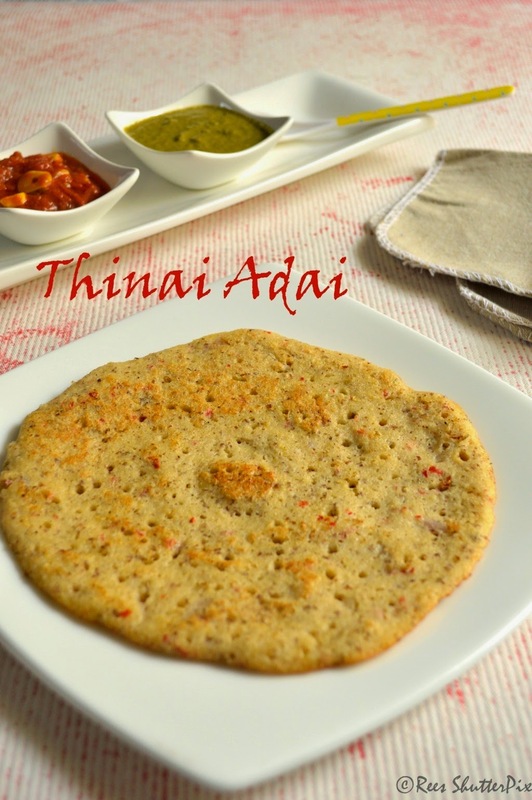 Try this Millet Adai Recipe and I am sure you will happily start a millet diet then!!! 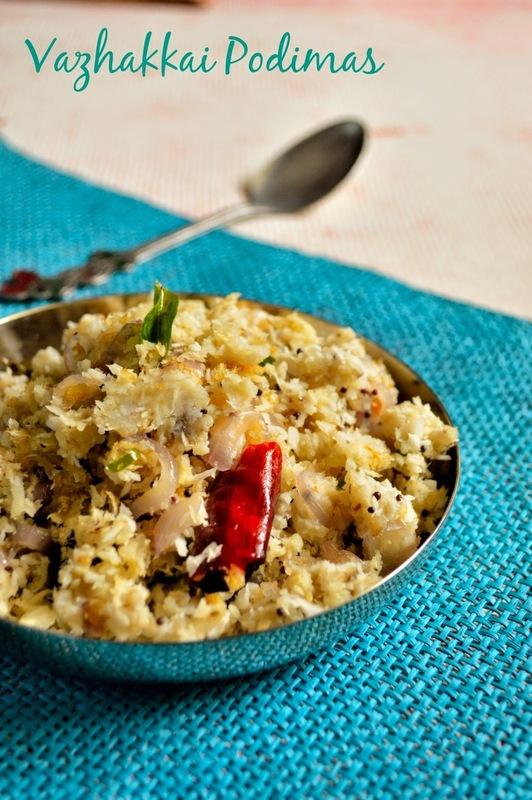 This is one of the easy and tasty way to include millets in our diet!!! 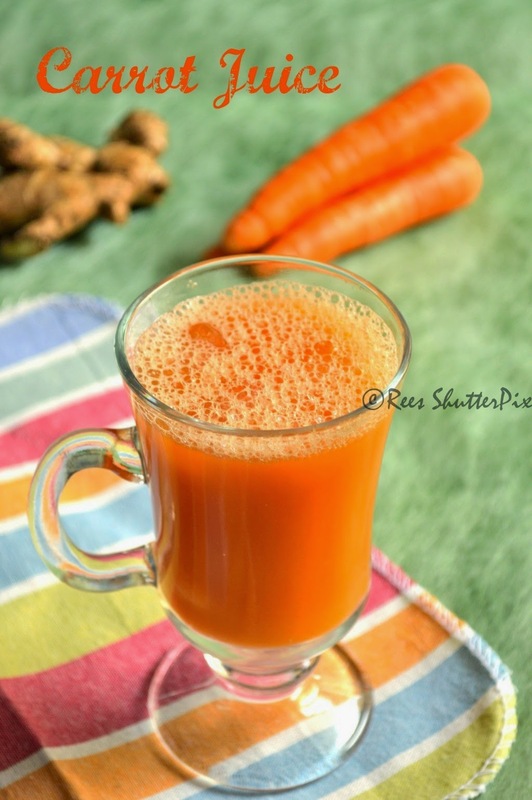 I grew up drinking carrot juice every morning for almost a year before going to school as I used to skip my breakfast giving lame reasons. Thanks to amma for forcing me to drink this!!! Now, I love to have these along with a light breakfast for a filling tummy!! !